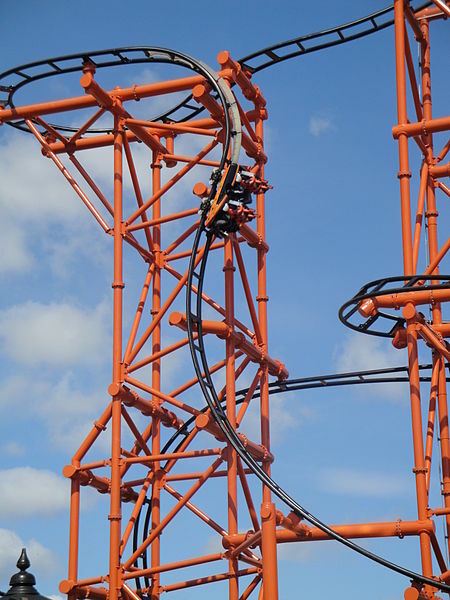 Mumbo Jumbo contains the world’s steepest drop at an angle of 112 degrees. 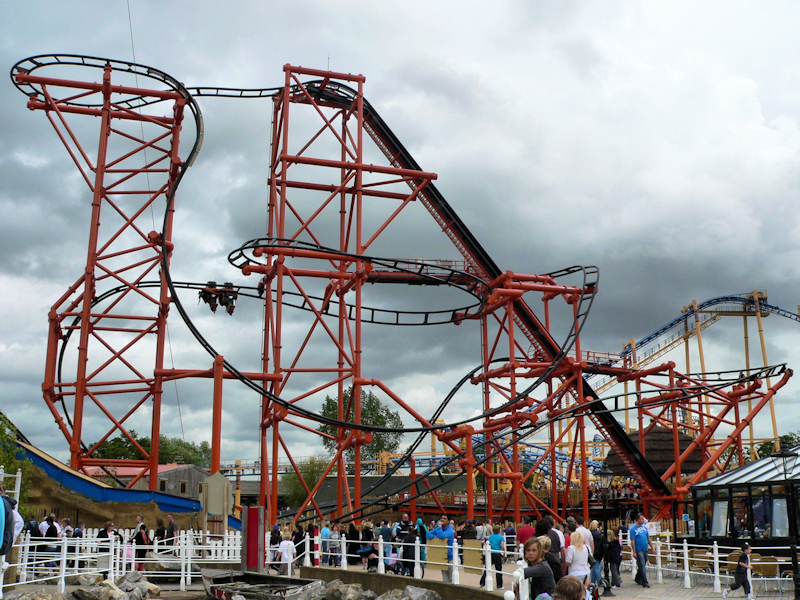 The coaster is located at a theme park in the United Kingdom by the name of Flamingo Land Resort. 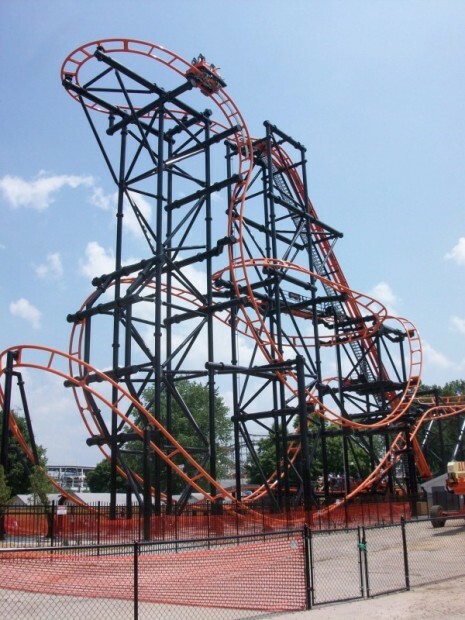 Other than the steep drop, the coaster also has 2 inversions and picks up a force of 4Gs. The most interesting thing about the coaster is that there are section/s of the ride that have you riding upside for a few seconds or so, as you can see in the 2nd image above.